If you’ve missed college football the last few weeks, have no fear. You are just a few days away from the beginning of Bowl Season. The first game will take place on Saturday as Washington State meets Colorado State in the New Mexico Bowl in Albuquerque. This will be the first time these two programs have met and it marks successful seasons for teams that have been working hard to turn it around in previous years. The Cougars have a 6-6 record in Mike Leach’s second year, including a 4-5 record in the Pac-12. This is the first time they have been to a bowl game in over a decade, so despite the press, or lack thereof, that may come with the New Mexico Bowl, they’ll be happy to get things going to prove they are back in the bowl picture. 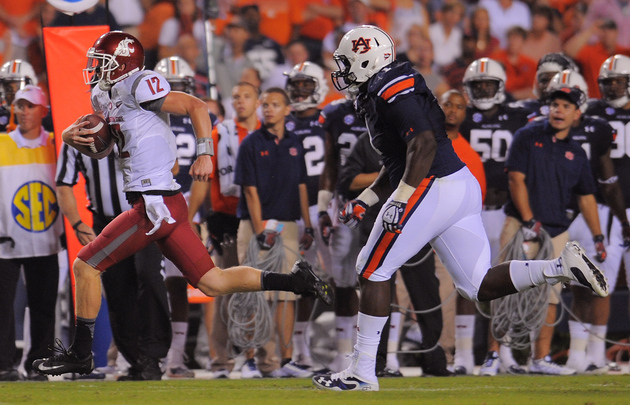 The Cougars are led by Connor Halliday, who runs a typical Mike Leach offense. Just like when at Texas Tech, Leach has given Halliday the green light, which has allowed him to throw for 4,187 yards, good enough for fourth in the nation. He also has 28 touchdown passes. Preparing for that fast-paced offense will be Jim McElwain, the second year coach for the Rams who was the defensive coordinator at Alabama for their National Championship teams in 2009 and 2011 before making his way to Fort Collins. Obviously the Rams don’t boast quite the same defensive firepower as the Crimson Tide, but the schemes will still be there to prepare for pass-heavy Cougar squad. The Rams are led by their own record-setting quarterback. Garrett Grayson set the single game record at CSU for touchdowns and also had 3,327 yards on the season, which was good enough for a top-20 ranking. 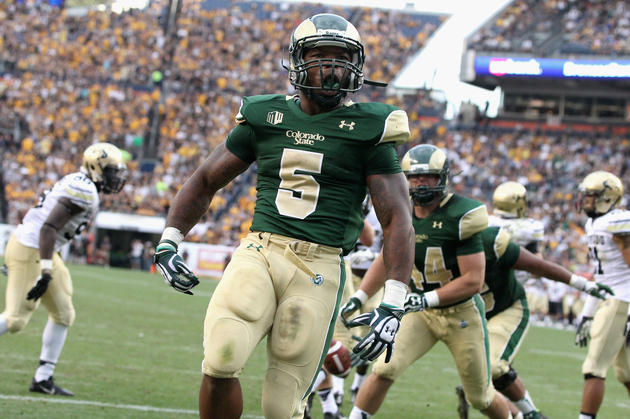 The Rams also have Kapri Bibbs, who has put in 1,572 yards and leads the nation with 28 rushing touchdowns. Bibbs and Grayson are the only combo in the nation to have at least 3,000 yards passing and 1,500 yards rushing. Sure, the Rams and Cougars game may not be the highlight of Bowl Season. But it’s a great way to get things started. And for fans that have been starving for college football action in the last few weeks, they’ll be in for a treat with this one. The Cougars are a 4 ½ point favorite in this one.